The sofa is generally placed in the living room as a place to greet guests. But not infrequently also the sofa is placed in the family room as a place to curl or on the terrace of the house as a place to relax while enjoying leisure time. In an emergency, some types of the sofa can be turned into a bed. This kind of sofa is commonly known as a sofa bed. 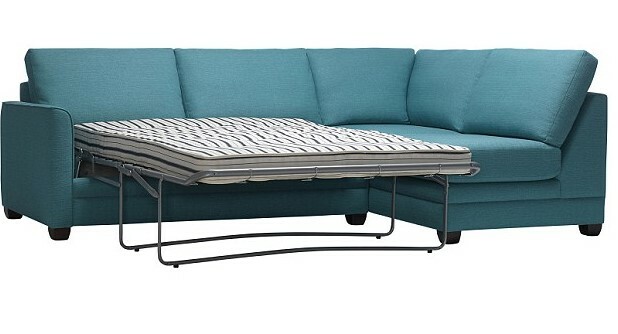 The sofa bed is a kind of multifunctional sofa. During the day, a sofa bed becomes a comfortable seat in your living room to greet guests. At night, this sofa you can transform into a warm bed. With this kind of function, a sofa bed can be a perfect helper when you receive impromptu guests who want to stay while your room in your house is full. Not only multifunction, this one home furniture has also been present in many variations of interest and stylish. Sectional Sofa is a type of sofa that consists of several structures, can consist of three to five parts. The parts are separate elements that you can arrange yourself to form the unity of the sofa in various forms. This type of sofa is very flexible to modify. If you are not sure about your living room arrangement model or if you are one of the boring people with the monotonous spatial arrangement, choose this type of sofa. The sectional sofa you can stack lengthwise, form the letter L, form the letter U, face to face and some other configuration. Because of this flexibility sectional sofa can also be a perfect alternative to a bed. Way, simply move the parts of the sofa after your desire to form the most comfortable bed. Just add a pillow and blanket to it, and ... perfect! The lounge is a kind of elongated sofa that is usually used to relax enjoying the time while reading. The lounge has a sloping backrest which is perfect for lazing during the day. Some types of lounges are equipped with armrests, while some do not. With its elongated shape, the lounge can instantly turn you into a temporary bed at night, though it may be somewhat uncomfortable because of the sloping backrest. This item is the most common model sofa bed in the world. As the name suggests, this type of sofa bed can be changed instantly into a bed with ease. Way, you just pull the additional pads folded and hidden under the sofa cushion to form a bed. So, in the day shape in the form of a comfortable sofa. And when needed as a bed, you just pull the cushion underneath. The distinctive feature that distinguishes the pull out sofa bed is the backrest that remains standing upright. So, only the bed is widened to two-fold. Generally, Pull out sofa bed has the same size with a sofa for three people so that when stretched into a bed, you will get a bed spacious enough to sleep together. The futon is a kind of combination sofa and mattress. The reason, to turn it into a bed base, you simply lay back the back of the sofa to flat overall. So, the futon is a sofa that consists of several pads. And when these pads are lined horizontally ... voila! The beds are comfortable for you. Sofa bed this one no longer need to bother to change the arrangement. The shape itself is similar to the bed, although actually is a long chair with a backrest on both sides. The sofa is long enough for you to stretch out, and though not as comfortable as a sleeping bed, a daybed can be a perfect choice for temporary sleep. However, because of the backrest on both sides of the 'restricted' sofa, the daybed will not be comfortable to sleep with a tall person because it will need to bend the legs. As the name implies, the bunk bed sleeper is a sofa that can be transformed into a high-rise bed. The size remains the same as a sofa for three people, only the number that doubled and hanging from the skeletal strength, bunk bed sleeper can be used by children and adults. But obviously, children would like it more. Especially since the bunk bed sleeper is equipped with a ladder to reach the top. It was some kind of sofa bed. During the day tangible ordinary sofa, the night turned into a comfortable bed. This can obviously be a smart solution for space constraints especially on the type of minimalist home.